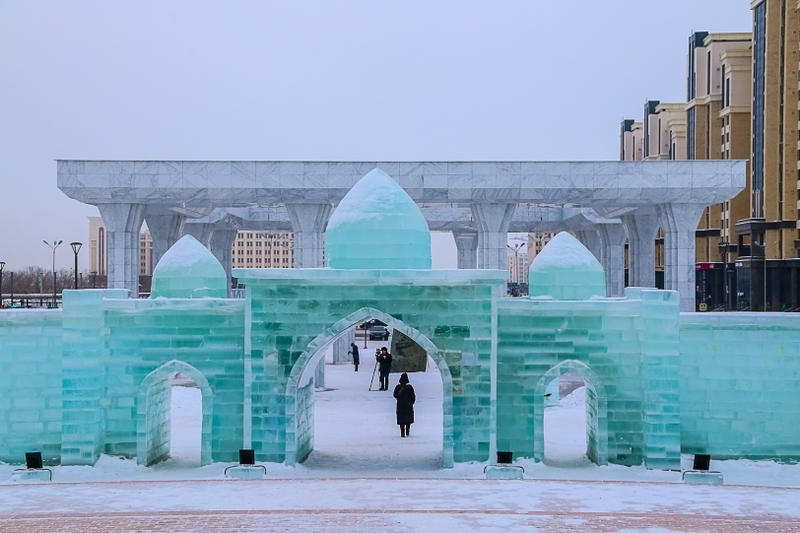 ASTANA – The Yessil District akimat (administration) organised Kazakhstan’s first ice sculpture competition in the capital Jan. 16 for professional international participants. The sculptures will decorate the main entrance to the city’s botanical garden through the end of February. The akimat chose the theme Middle Eastern Tales: 1,001 nights of Astana to continue the garden’s design. 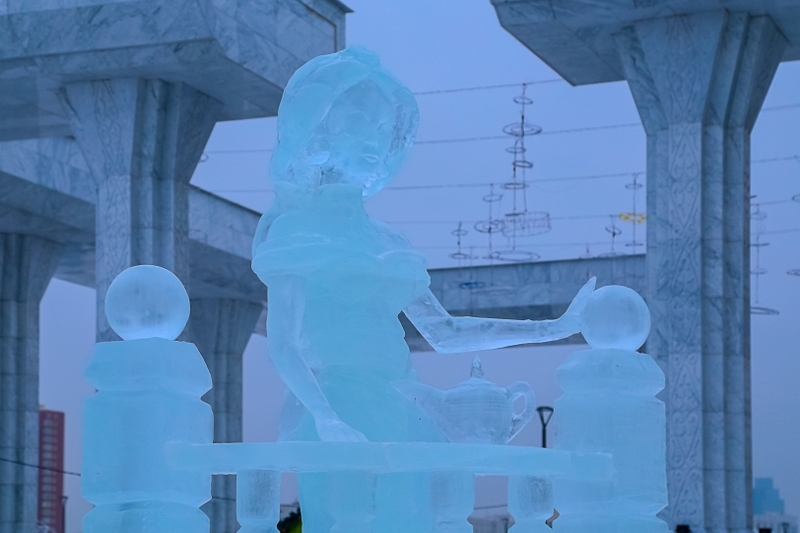 Sculptures of well-known Arabian tales’ characters Aladdin, Jasmine, Jinni, Scheherazade and Sinbad welcome visitors. “This festival is international in nature and is being held for the first time in this region. We will try to hold it on an annual basis. By expanding the circle of participants, we plan to divide the competition into amateur and professional levels,” said capital Deputy Akim (Mayor) Nurlan Omarov. Participants came from various parts of Kazakhstan in addition to several from China and Russia. The 16 teams had four days to finish their sculptures. “Each work is original in its own way; the signatures are different. The Middle Eastern tale is one that we all know from childhood… They (the participants) were engaged in industrial graphics before. Each artist himself prepared these projects,” said Astana Artists’ Union Chairperson Zhanuzak Musapir. 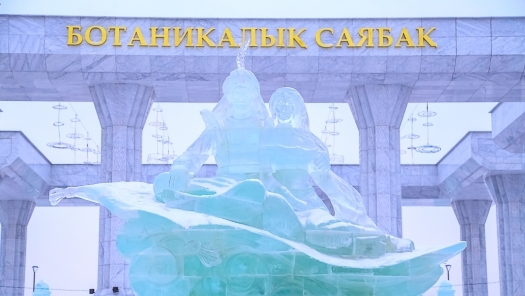 The Grand Prix with a cash prize of one million tenge (US$2,649) went to Stepnyaki, a team from the Akmola region, for their ice composition Steppe Attraction, where the artists presented events in Kazakh history. Although their idea was distant from the Arabian tales’ theme, the judges determined the sculpture stood out in its complexity and attention to detail. “Based on the topic, I studied the history of Astana. Our main symbol is Baiterek. According to the legend, Baiterek is a tree which is rooted deep into the earth, with the crown propping up into space. It was this that I followed, because we have the Baikonur Cosmodrome, from where the first person went into space. I also wanted to reflect this. I considered the idea for a long time and I used it in this competition,” said sculptor Manarbek Burmaganov. 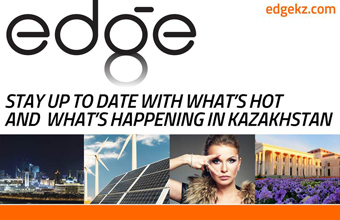 The competition’s 2.5-million tenge (US$6,624) prize fund was also divided among the first (700,000 tenge (US$1,854)), second (500,000 tenge (US$1,324)) and third place (300,000 tenge (US$1,324.)) winners.